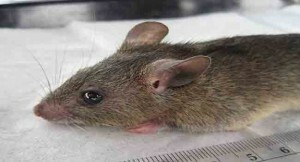 The Akwa Ibom State Commissioner for Health, Dr Dominic Ukpong, has warned residents of the state against habits that could encourage the spread of Lassa fever in the state. Dr Ukpong gave the warning on Friday while speaking to Channels Television in Uyo. The Commissioner said so far, one case was recorded and that the patient was undergoing treatment while six suspected cases were being investigated. Dr Ukpong spoke on the causes of the disease, mode of transmission, prevention and treatment. He enumerated measures taken by the State Ministry of Health to combat the problem. These measures include intensive public enlightenment and surveillance, he therefore urged the people to report suspected cases early for diagnosis and treatment.